The national power grid lost 1,770 megawatts in two days as generation fell below the 3,000MW mark on Friday, the latest data obtained by our source revealed. The total available electricity generation fell to 2,938.5MW as of 6am on Friday from 4,708.3MW on Wednesday. Data from the Nigeria Electricity System Operator, an arm of the Transmission Company of Nigeria, revealed that generation peaked at 4,806.8MW on Thursday. The system operator put Nigeria’s installed generation capacity at 12,910.40MW; available capacity at 7,652.60MW; transmission wheeling capacity at 8,100MW; and the peak generation ever attained at 5,375MW. The country generates most of its electricity from gas-fired power plants, while output from hydropower plants makes up about 30 per cent of the total. The Executive Secretary, Association of Power Generation Companies, the umbrella body for the GenCos, Dr Joy Ogaji, told our correspondent that the limitations of the transmission and distribution networks as well as a lack of payments to Gencos were responsible for the drop in generation. 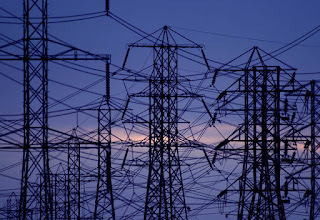 Government-owned Nigeria Bulk Electricity Trading Plc buys electricity in bulk from Gencos through Power Purchase Agreements and sells to the distribution companies, which then supply it to the consumers. The Federal Government, in March 2017, approved N701bn payment assurance guarantee by the Central Bank of Nigeria to help Gencos meet gas payment obligation starting from January 2017 to December 2018. She said some Gencos had to get loans to pay for gas supply. She added, “But the transmission network is not available to take all the power generated by Gencos. The TCN claims it can wheel 8,100MW but we know it can sustain 4,500MW. The TCN, which manages the national grid, is still fully owned and operated by the government. The grid collapsed five times in the first two months of the year, according to the company.